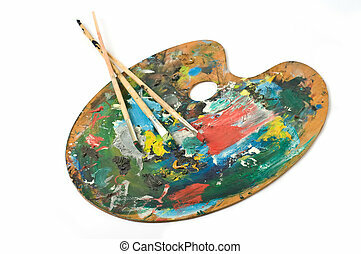 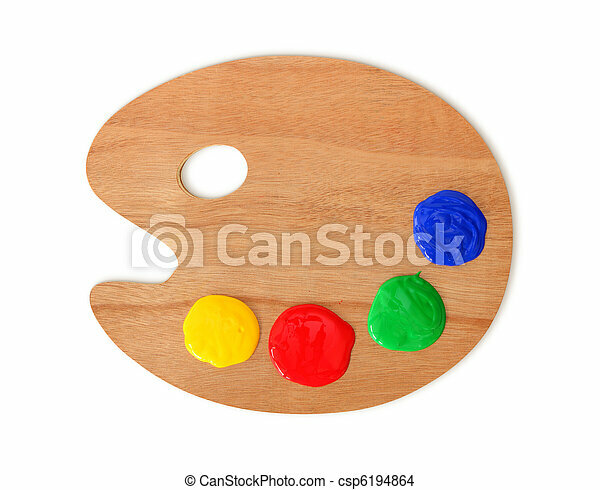 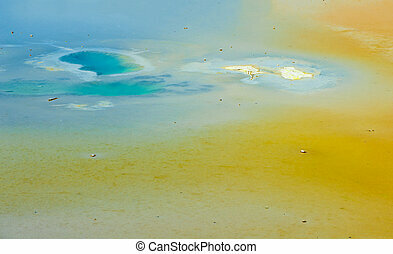 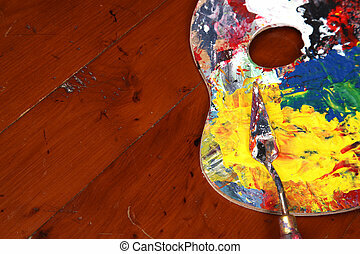 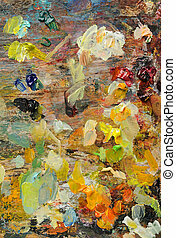 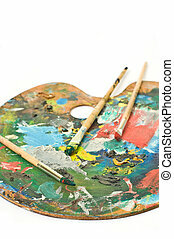 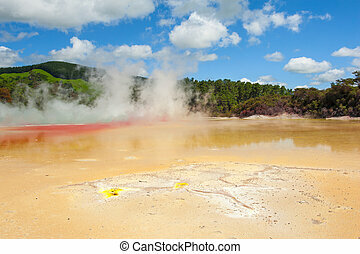 Artist's palette isolated on white background. 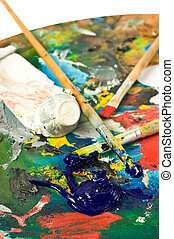 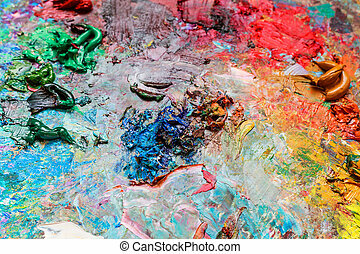 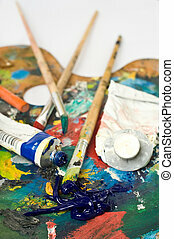 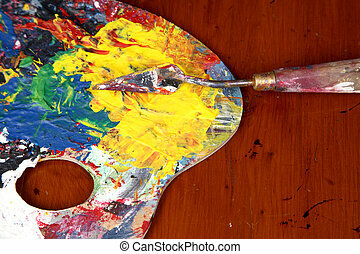 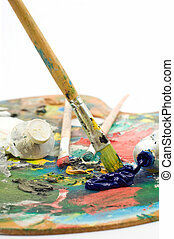 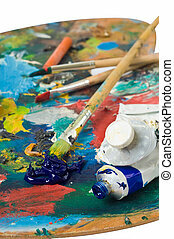 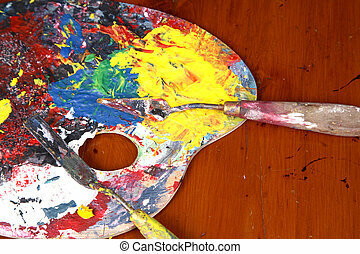 artist's palette with colorful paint and brushes. 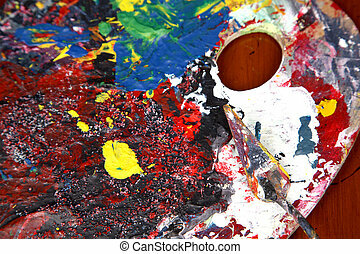 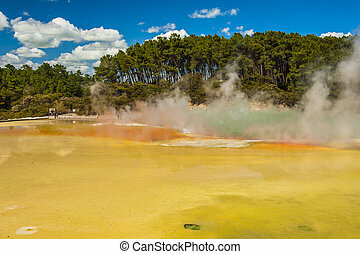 The artist's palette for mixing colors, close-up.